Jennifer Gilchrist moved from New York City back home to the Detroit suburb of Beverly Hills in 2016. She moved to help take care of her mom Joellen, a retired Detroit high school teacher, and to fix up her childhood home. That’s when a plumber told them they had a lead service line. Service lines are the underground pipes connecting your home to the water main. 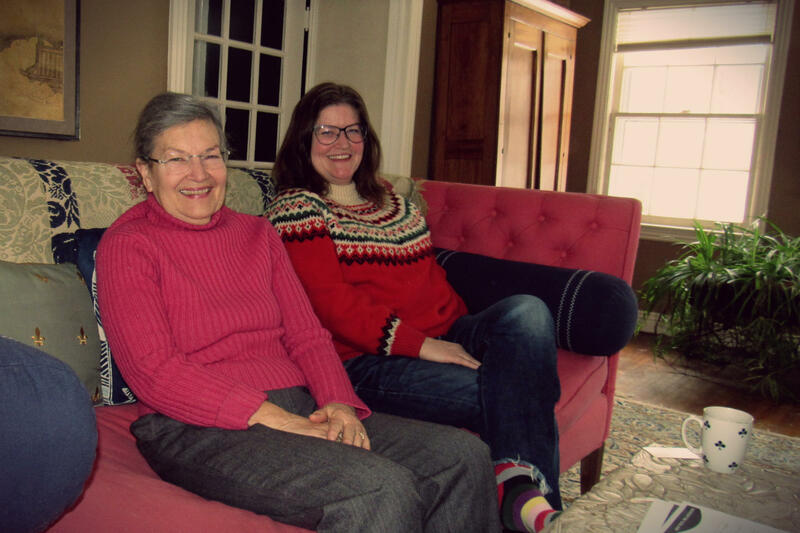 Joellen and Jennifer (right) Gilchrist at their home in Beverly Hills, MI. Gilchrist gave the village office in Beverly Hills a call. She knew cities periodically test water at homes with lead pipes and she wanted her water tested. “I was like, ‘Hi, we’re a high risk house. I want to get on that list,'” Gilchrist recalls. To be on the safe side, her brother installed a filter on the kitchen faucet. He gave them cans of LaCroix to drink, she said. About a year went by, Gilchrist says, before the village gave her a sample bottle with very specific instructions. “During the test they were like, ‘Make sure you’re not going through a filter,' so I, yeah, I took the filter off and then took the water,” Gilchrist said. A couple weeks later, Gilchrist and her mom got the results. No amount of lead in water is safe, but their lead level came back 15 times higher than the federal standard. “At that point we were freaking out. Because before the 228 (parts per billion of lead) we were not freaking out at all. We’d never dreamed in a million years that we’d have high lead. Really, other than my paranoid brother, the two of us really didn’t care. We were not worried,” Gilchrist said, glancing at her mom on the red sofa. Luckily, Jennifer’s mom had saved enough money to replace the old lead line. The village quickly replaced its portion too, Gilchrist said. They retested the water. Those samples came back normal. But by then, the regulatory gears were already in motion. That sample at the Gilchrist house became a red flag. 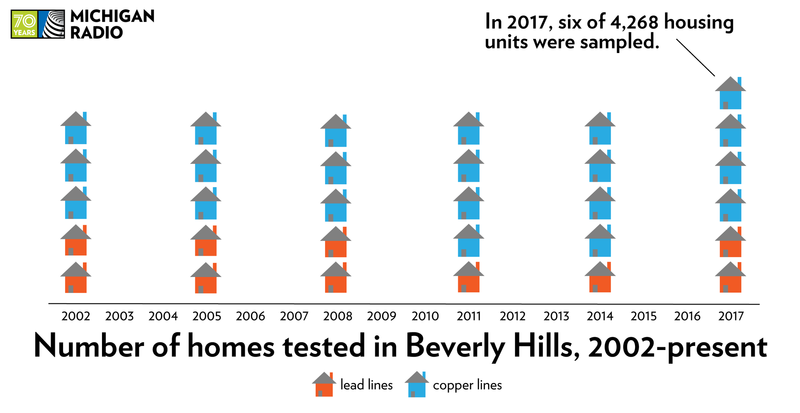 That one sample at the Gilchrist house that day in late August was so high, and Beverly Hills tests so few homes, it kicked the entire community’s results above the federal limit for lead in tap water. When Beverly Hills’ village manager got the news, he appealed to the Michigan Department of Environmental Quality. Chris Wilson asked the state to invalidate the high sample from the Gilchrist house. To Wilson’s dismay, the state said no. MDEQ told Wilson he must warn the public about lead in the water. “We didn’t want to create a public scare. That there was a problem with the water in this community, because there’s not, and we know there’s not and the DEQ knows there’s not,” Wilson said. "I think the feeling of the village and other communities here, it's now become a case of paying for the sins of the father. 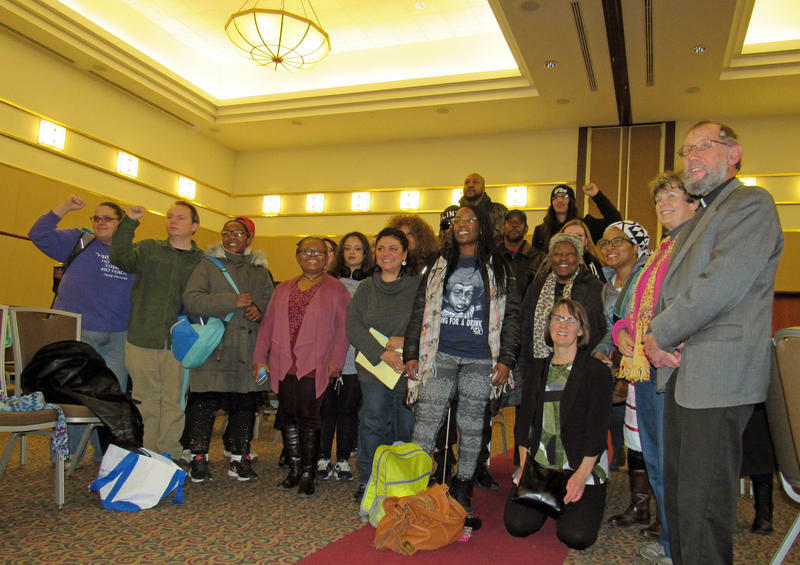 The state and the DEQ made so many missteps in Flint that led to serious consequences. But that doesn't mean other communities that are doing the right thing should get scrutinized at this level," Wilson said. Because the village gets water from the Great Lakes Water Authority, it only has to test five homes a year. The Gilchrist’s sample was the 6th. The other samples all came back "non-detect" for lead. The bottom line is Beverly Hills thinks the Gilchrist sample is bogus. Joellen Gilchrist suffers some memory loss and occasionally feeds and waters her two cats in the middle of the night, Jennifer Gilchrist said. Therefore, she could not guarantee the water sat stagnant for six hours before testing, as the rules require. It could’ve been less than six hours, Gilchrist said. They certainly didn’t think it would become part of a legal issue. 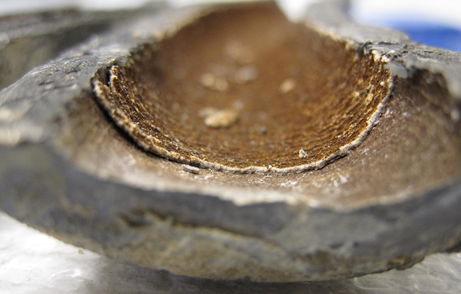 The “stagnation period” for the Gilchrist sample is now one of nine technical reasons the village cites as potential reasons to invalidate the sample. But the state points out the longer the water stands still in a lead pipe, the more lead the pipe would leach, so invalidating a high sample for having too short a stagnation period defies common sense, lawyers for the MDEQ wrote in a court filing last month. Another issue is that filter Jennifer Gilchrist’s brother put on the kitchen faucet. Jennifer Gilchrist remembers going around and around with village officials about the filter last fall. They spent a lot of time figuring out if she had bypassed the filter with it still on the faucet, or if she took it off entirely. She had to sign an affidavit. “I remember that annoyed me because I was like ‘who cares?’ The point is I did it right. It didn’t go through a filtering system. There’s no filter. You can’t blame this on a filter,” Gilchrist said. But the village of Beverly Hills is suing the state in Oakland County Circuit court anyway. It’s concern is that there may have been a small lead flake behind the filter that, once the filter was removed, got into the sample bottle. MDEQ did not respond to a request for comment. But in a court filing last month, the MDEQ said there is no reason to invalidate the Gilchrist sample. Instead, the Gilchrist sample serves as this potential red flag. That red flag means Beverly Hills has to do more than just routine sampling. That way, the state argues, Beverly Hills can see if there are other homes with high lead levels the village has missed, homes just like the Gilchrist’s. Elin Betanzo is a water engineer who happens to live in the Detroit suburb. “Lead release is sporadic and that’s the whole problem,” she said. 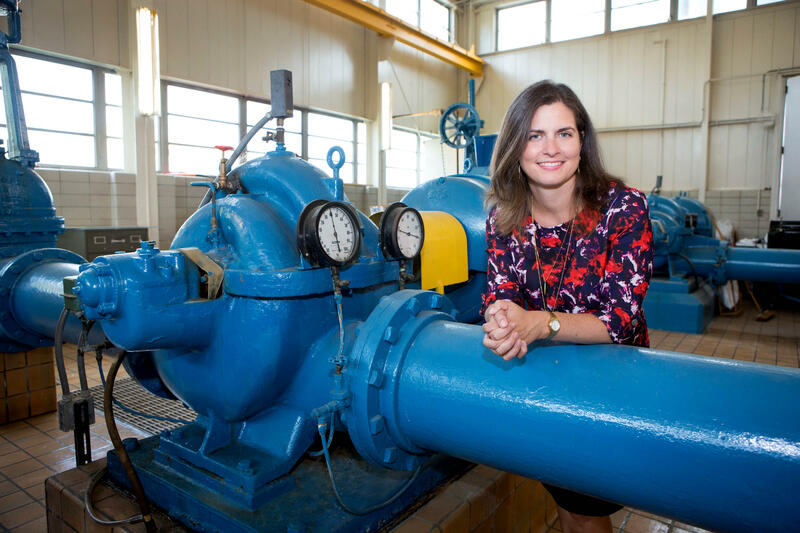 Elin Betanzo is an engineer and lead in water expert, who happens to live in Beverly Hills. Betanzo says you can’t always predict when lead flakes from old pipes will get into the water and end up in a sample bottle or a glass of water you’re going to drink. Betanzo says that’s why you can’t always reproduce the results even from the same faucet. She does not have a lead service line, but she does have a lead filter on the water dispenser on her fridge. She encourages her two kids to get water from the filter stations at their school, Beverly Elementary, which is part of the Birmingham public school system. When she found out Beverly Hills was above the action level for lead, she dug up data for Birmingham Public Schools. All the district's schools, like Beverly Hills, get water from the Great Lakes Water Authority. But some of the buildings get GLWA water via the village of Beverly Hills. 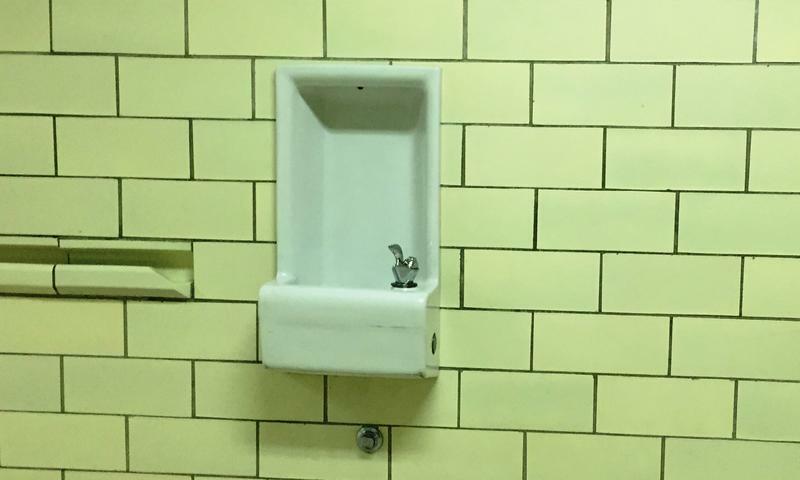 Just a few days before Jennifer Gilchrist took her sample last summer, the school district put out a public notice to parents about its lead water testing. Birmingham Public Schools took more than 2,000 samples last school year. It found elevated levels in five of the district’s 19 buildings. Many that tested positive were not drinking-specific fixtures. For example, some were in science labs. Others were bathroom sinks. But ten of those fixtures were for drinking, and the district replaced them, along with four faucets in kitchen areas. Village manager Chris Wilson was unaware of the school’s results. There’s nothing in the law that requires the school to notify the water system. But the village was required and did send a notice to the schools about the Gilchrist’s sample. As the legal case gets sorted out, Beverly Hills is looking for more people to test their water. Betanzo hopes the village will take this opportunity to at least try to find some more homes with lead pipes. Betanzo says Beverly Hills hasn’t been testing enough homes with lead pipes. Besides the Gilchrist’s, they’ve only tested two homes with lead pipes for the last decade. “So it's possible that if they sample more frequently lead service line homes, they might more regularly find lead in their drinking water,” she said. Wilson says there are no other lead service lines that they know about. But Betanzo says she’d like to see the village search for homes with lead lines. She points to homes off Evergreen Road and in the older, eastern portion of the village where lead lines are more likely to be buried. Lara Moehlman and Nisa Khan contributed to this story. A previous version of the graph in this story stated eight homes were tested in 2008. Only five were tested that year. The correction has been made, and we regret the error. Stateside's conversation with reporter Michigan Smith about the ripple effects of the Flint water crisis on other water systems in Michigan. 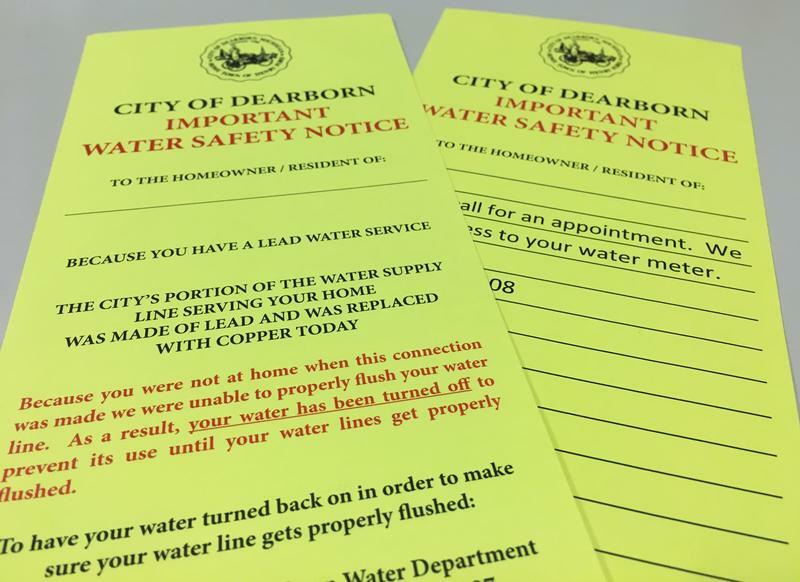 There are lead service lines in older communities across Michigan. Because of their age and population size, it’s fair to say the bulk of Michigan’s lead service lines are in cities in Southeast Michigan. 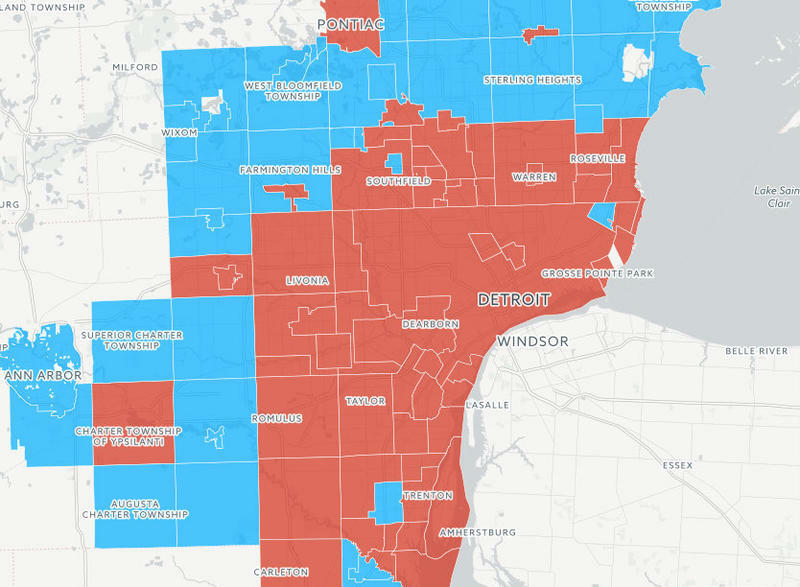 I spent a lot of time trying to determine which Detroit suburbs have lead service lines and how many. I wanted to see how far out into the suburbs lead was found in underground water pipes. 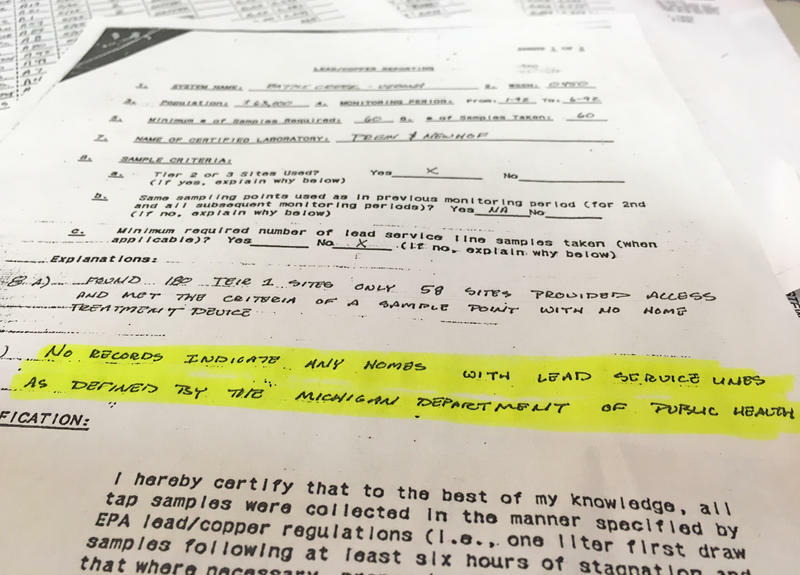 It was relatively easy (albeit an expensive FOIA bill near $2000 for these "public documents") to track down which communities were testing lead lines. But figuring out how many lead pipes were in each community is nearly impossible. Ever since the Flint water crisis, Michigan cities and citizens have started paying attention to lead in drinking water pipes and faucets and the potential dangers they pose. You might have lead pipes, or fixtures that contain lead, in your home without even knowing. Many cities are only replacing the public side of lead service lines. So determining what's coming into, and what's inside your home is up to you. Stateside's conversation with Lindsey Smith, Michigan Radio's investigative reporter. Most water systems operators around the state had a hint this was coming. The Flint water crisis has reverberated among water professionals working from Muskegon and Grand Haven all through the state and to the Detroit metro area; where the bulk of the state's drinking water lines are still buried. One of the things Flint’s water operators got in trouble for was falsifying records; for saying the city was testing homes at the highest risk of having elevated lead levels when it was not. But records obtained by Michigan Radio show Flint is not the only city in the state that tested the wrong homes over the years and potentially underestimated lead in water. 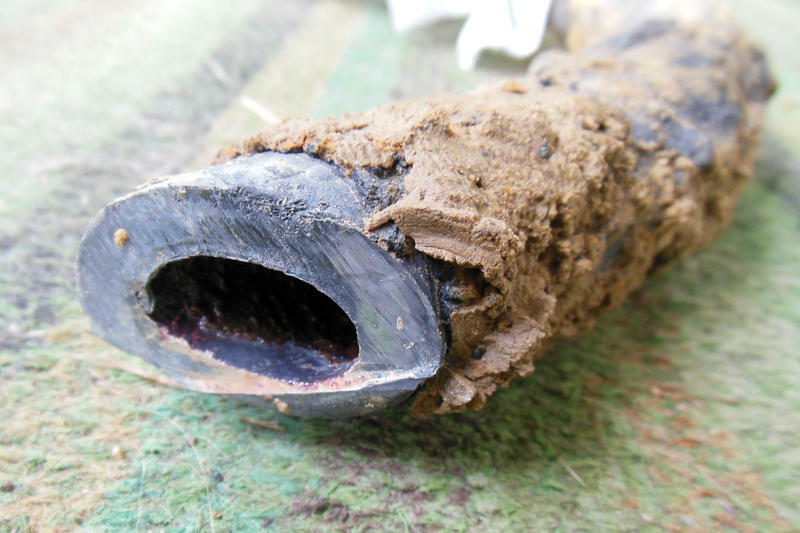 The biggest culprit for high lead in tap water is the lead water pipes that connect a house to the water main. That’s why cities are supposed to test those homes. Public tells state “be bold” updating lead in water rules, others say changes "not feasible"
Michigan’s Department of Environmental Quality should update its rules on the level of lead that’s considered acceptable in drinking water. That is the one thing most everyone at a public hearing in Lansing Thursday night did agree on. But many Flint activists and environmentalists say the proposed changes to lead rules don’t go far enough. Others, especially those running community water systems, say changes go way too far, presenting major legal and cost issues. The Michigan Department of Environmental Quality is moving forward with proposed changes to the lead and copper rule. If approved, Michigan would hold the toughest regulations on lead in drinking water in the nation. Among the policy revisions is a motion to lower the acceptable lead level in a community’s tap water. If the law passes, the “action level” of 15 parts per billion (ppb) of lead would drop to 10 ppb. ”Though no amount lead is safe in water, reducing that down is going to be very important,” says Chris Kolb, president of the Michigan Environmental Council.